We reside in an uncanny universe; one in which the existence of one thing is typically signified by the absence of another (i.e. light versus dark, hot versus cold, wet versus dry, etc.). 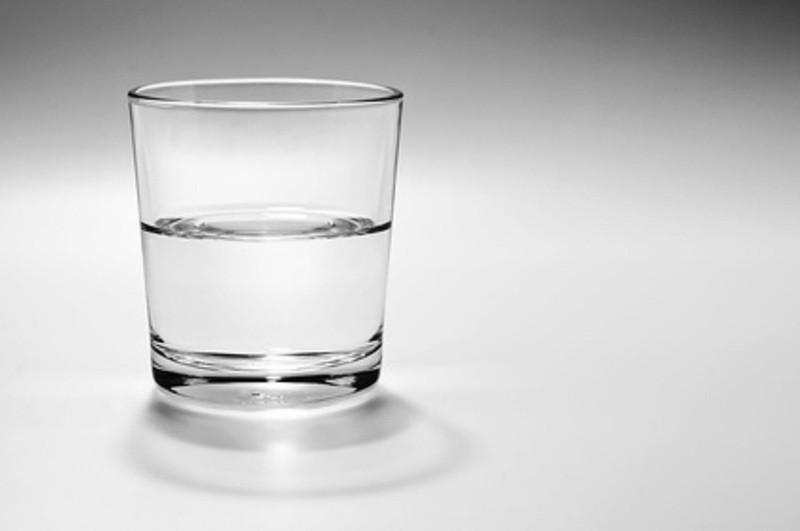 Where perspectives are concerned, the proverbial glass is shockingly half full at the very same time that it is half empty–it just depends upon who’s looking at it. While there are other reasons (some of which I have described below), the debate regarding the glass half-full (or half-empty, whichever you prefer) provides a very good clue in understanding one of the main reasons why cross-functional business process improvement (BPI) teams are so effective. Keep in mind that it’s not who is right or wrong in the debate, but the debate itself that is important. Participation. Participation in the development of a solution builds buy-in that may be required for the success of the solution. While all of our data, statistical tools, and analysis may assist us to successfully identify the significant X’s and determine the buttons that should be pushed and the levers that should be flipped in order to improve a business process, let us not forget that we still need living breathing emotional human beings to push those buttons and flip those levers. In any business process that is not 100% automated the “human” factor ALWAYS has the potential to be significant. Checks and balances. Often conflict is inherent within the business context, whether by design or happenstance. I can recall a statistic that I came across years ago in an Organizational Behavior textbook that supported the fact that a large percentage of businesses fail, at least in part, due to a dysfunctional level of conflict. Surprisingly, the level of conflict within most of the failed organizations cited by this text was too LOW. The author of the text went on to make the case that a fairly significant level of conflict is healthy for an organization since it provides the necessary checks and balances to preclude a scenario in which all of the VPs sit around the conference room holding hands and singing Kumbaya as corporate earnings plummet (okay, so that last part was my own creative embellishment, but you get my point). If, at the end of the day, the cross-functional BPI project team you have assembled has had some heated discussions and flared tempers (and maybe even some threats of fisticuffs), you know that you have assembled the right team and that progress will happen (as long as the project lead is a good referee). Voice of the customer. Most business processes are but links within a company’s value stream and, therefore, have internal customers (direct recipients of the process output). In fact, very few business processes, with the exception some obvious ones like sales, CRM, invoicing, and shipping, have the end user as a customer. Thus for most BPI projects, companies have an opportunity, through careful selection of the BPI team, to assemble perspectives from all angles—the process itself, the primary suppliers to the process, and (most importantly) the process customer. This represents a huge opportunity in terms of adequately identifying critical-to-quality characteristics (CTQs) and defining specification limits. After all, who is better able to prescribe what a “quality” process output should look like than the process customer himself? We are all human and, as such, we all have a slightly unique take on the things that we observe. Cross-functional BPI teams harness that diversity of opinion, provide an opportunity for participation in solution development, provide checks and balances through an appropriate level of organizational conflict, and put the voice of the customer within our grasp. Good article, and right in keeping with what I believe are good business practices. Surprising, however, how few people will actually agree to put cross functional teams in place. Most are afraid of the conflict and would rather gather a team of “supporters” and eliminate any “nay-sayers”. Not being afraid to invite critics and wild-cards to work on cross functional teams shows a level of confidence and respect for the value of collaboration. Kathryn: I agree. It’s almost as if the natural human tendency is to seek out support for whatever it is that we currently believe…for whatever reason, rather than expose ourselves to new perspectives that may be foreign to us. Ironically, it is the thing that we fear the most (the new foreign perspective) that is, in many cases, most beneficial to us.